With a fair amount of heat, but missing most of the different flavors of Indian cuisine, this is just an “okay” chicken tikka masala. The heat in this product starts out mild and builds up to a medium-hot heat on the back of the tongue. While the heat level is good for people liking heat, many of the traditional flavors of Indian food are missing. The sauce has a medium tomato flavor with plenty of small pieces of tomato. Along with the tomato are ample amounts of tender chicken pieces. The rice is the biggest disappointment. The rice cooked up rubbery, maybe indicating some over cooking after 6 minutes in the microwave. However after 6 minutes the sauce and chicken were merely very warm. While the rice is labeled basmati, the flavor was different, but not better, than the basmati I’m used to. There was a very mild heat to the rice. 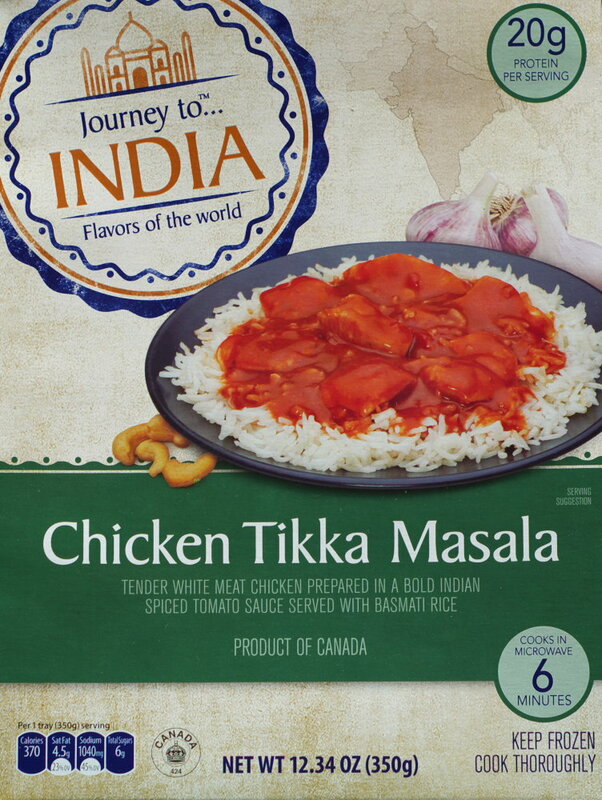 There are better frozen chicken tikka masala products out there. If you’re in a pinch, or don’t have access to other sources, this will do – but not more. This entry was posted on 08/28/2017 at 11:34 and is filed under ALDI, food, Recipes, food, cooking and related items. You can follow any responses to this entry through the RSS 2.0 feed. You can leave a response, or trackback from your own site. Bummer! Guess I will stick with the jar Tikka Masala…that stuff is the bomb!